Spiegler Stainless Steel Brake 6-line Kit for Porsche 991 GT3 and 981 GT4 | Essex Parts Services, Inc. 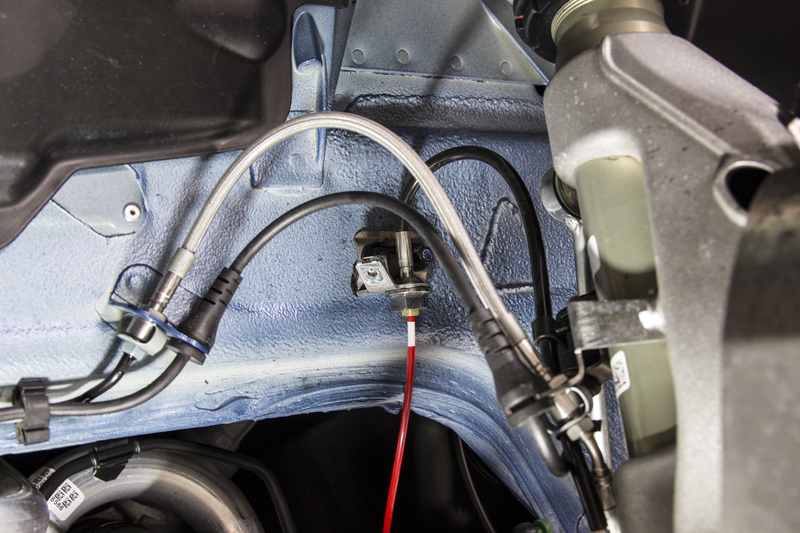 Many of our Porsche customers haven't been thrilled with the quality of currently available options, and have repeatedly asked us to produce a premium quality brake line set that replaces the factory hard lines on the 991 GT3 and 981 GT4. We went back to the drawing board, and the product below is the result. 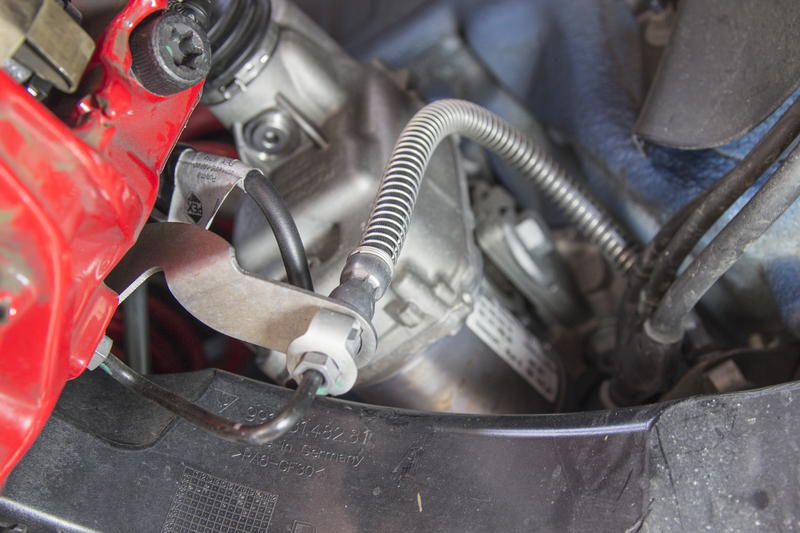 As you all know by now, swapping pads or changing discs on these cars can be a real headache, because the brake calipers are attached via hard, inflexible brake lines. 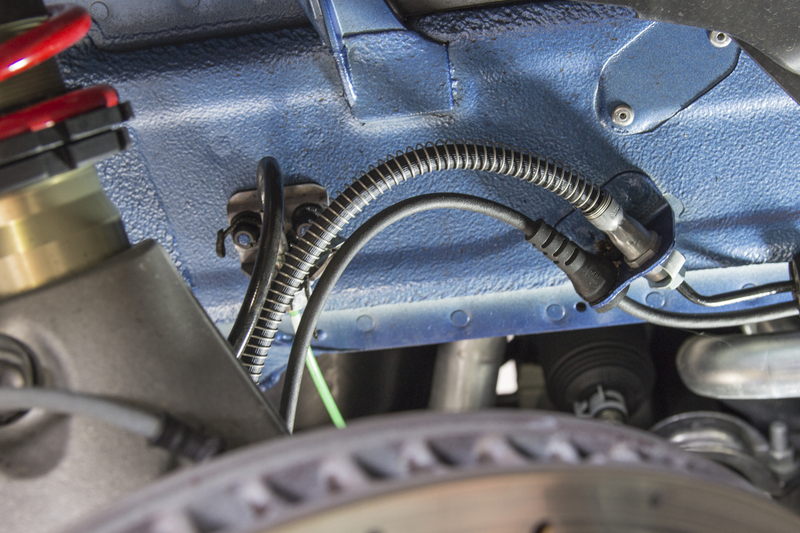 The OEM lines are rigid, shouldn't be bent repeatedly, and don't allow the caliper to be set aside easily. 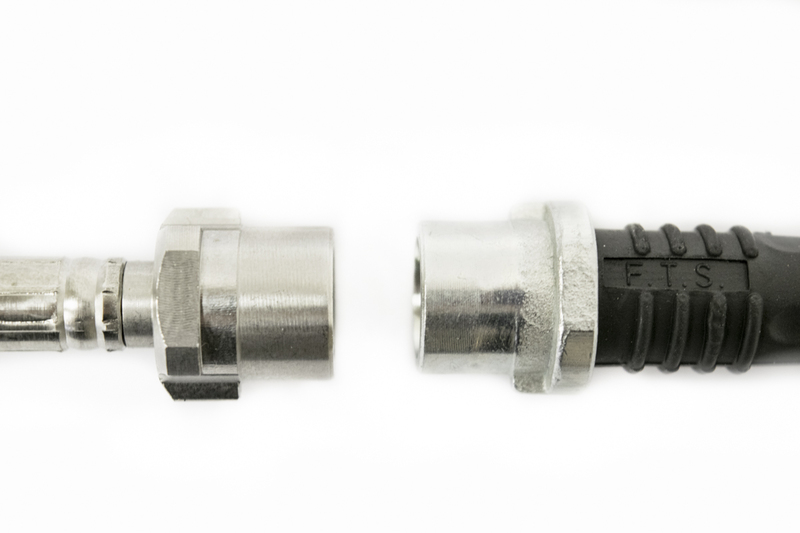 Our kit replaces the factory soft lines with braided stainless hoses, while also eliminating the hard piping to both the front and rear calipers. What if I'm Running Studs Instead of Factory Caliper Bolts? Our lines were intentionally designed with aftermarket caliper studs in mind. We added enough length front and rear to allow the caliper to be lifted off of the studs without having to break the hydraulic connection, or even unbolt the brake line from the brake line bracket. No more fuss and mess every time you want to swap your pads! Why Spiegler, and not Brand X? While we're not the first to create a six line kit, we have created the best one. The quality of the Spiegler components is a cut above the competition in all regards, and you can see the superior precision of the components in the pics below. Spiegler uses 100% stainless steel fittings machined from billet, and all fittings are attached with Spiegler's exclusive stress-free torsion system. That means the lines can be twisted or turned 360 degrees after they've been attached without placing any stress on the line or fitting. The components for Spiegler lines are imported from Switzerland, and the lines are assembled and tested in Dayton Ohio. The result is a brake line of unparalleled strength, durability, and reliability. For less than the price of a set of brake pads you can have the added convenience, feel, and confidence that Essex and Spiegler bring to the table. In the pics below, the Spiegler lines are gray and the competitor's lines are black. Note the precision and hard edges on Spiegler's fittings and threads, as well as the torsion fittings that allow the line to be rotated 360 degrees without stress. Below are some install pics that show which lines our kit replaces. Just How Strong are Spiegler Lines?